Personalizing images on each postcard is an incredibly powerful way to get your recipients' attention. This could be a recipient’s logo, the latest product they ordered, or any other creative idea you have. 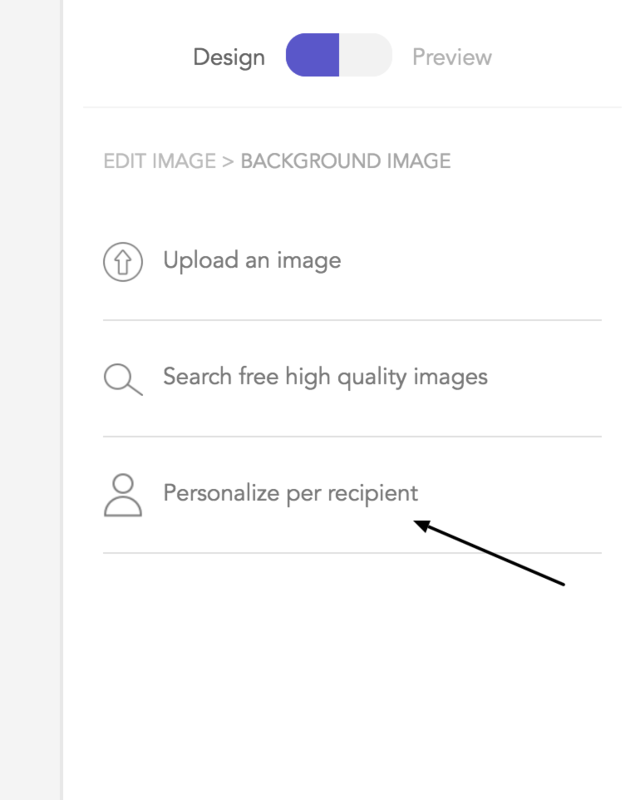 If an image doesn't exist for a specific recipient, we'll either use the default value (if you added one for that custom field) or show nothing at all. 1) When choosing your image source, choose Personalize per recipient. 2) Select the merge tag for one of the custom fields that contain the URLs to your desired images. 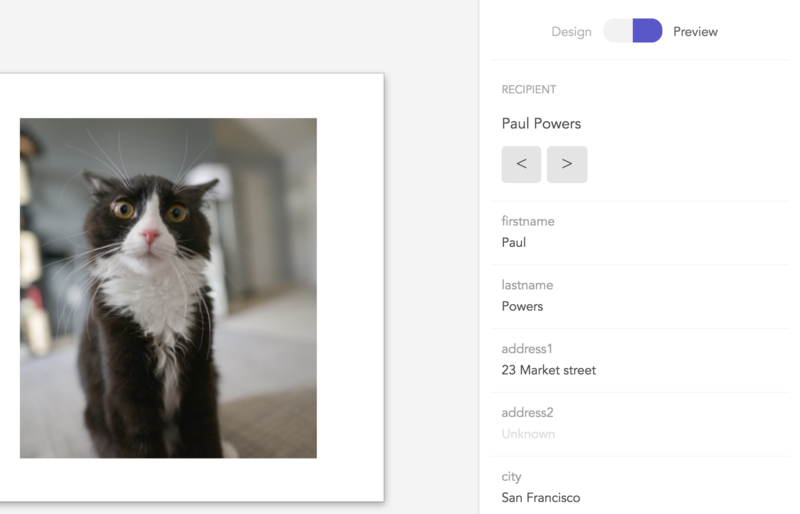 3) You'll now see your image element have a placeholder image. This won't change until you go into preview mode. 4) In preview mode, as you cycle through recipients you'll see each one's respective image. 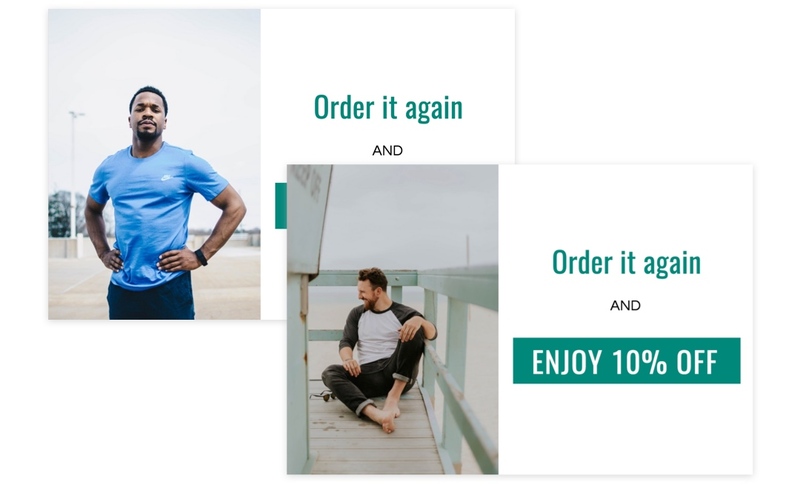 Personalized images are only shown when you preview and/or print their postcard. 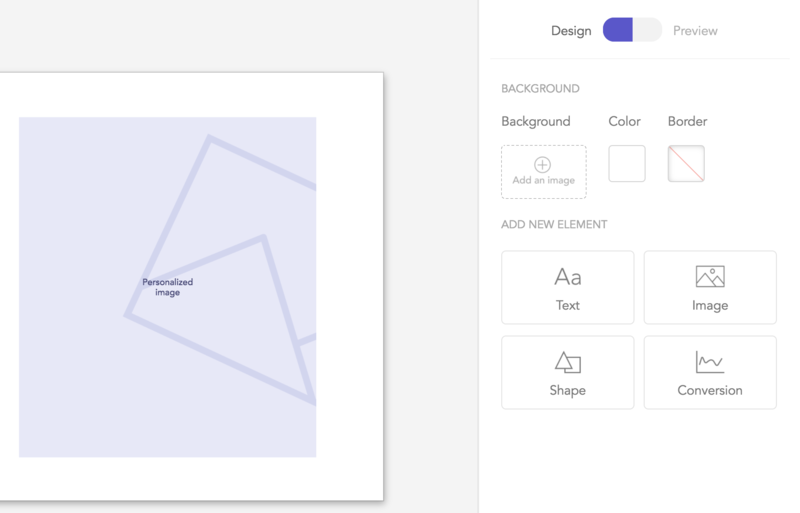 In design mode, you'll just see a placeholder image. Images should ideally be hosted on Amazon S3 or similar services to ensure they’re available at the time of print. 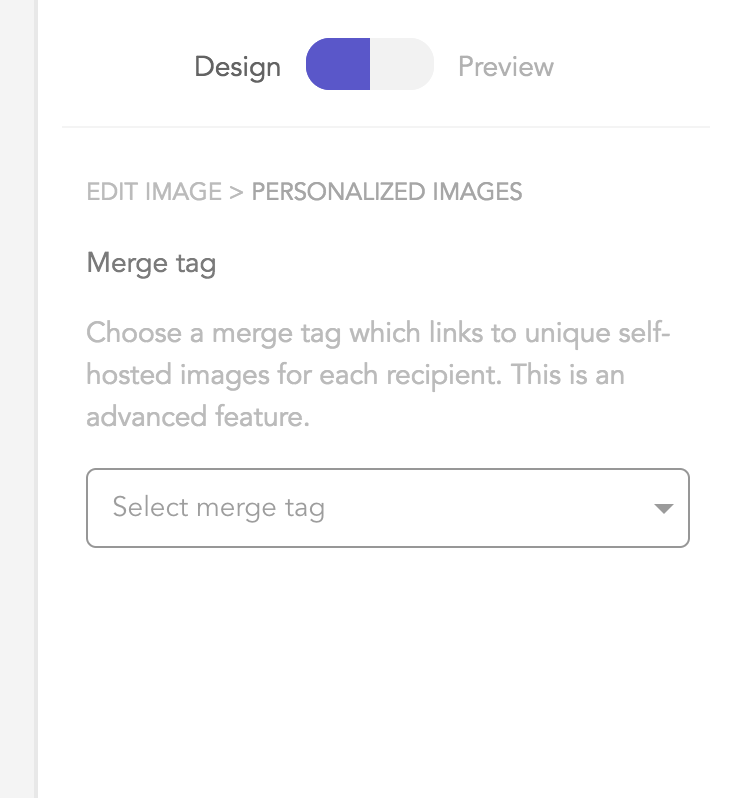 If a recipient is missing a value for the selected merge tag, the image will either be blank or use the default value you specified.